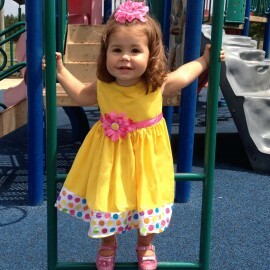 Choose from over 80 fabrics to have this custom made baby or toddler dress designed your way. 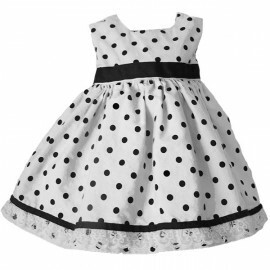 Perfect for birthdays, parties, Easter, flower girl dress, family get together's, special occasions, or any time she needs to look her cutest. 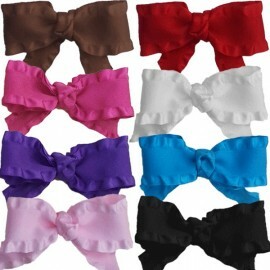 Features: Ribbon waist and trim in your choice of colors. Zipper closure. White lace adorns the bottom. Fabric options: Enter the letter or name of your fabric choice in the customization area below. Choose 1 or 2 fabrics. 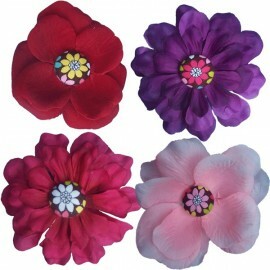 The 100% cotton and satin choices are ideal. Click here to view over 80 available fabrics. Need a fabric sample first? Email us at info@luckyskunks.com.